Welcome to my 911 web page! 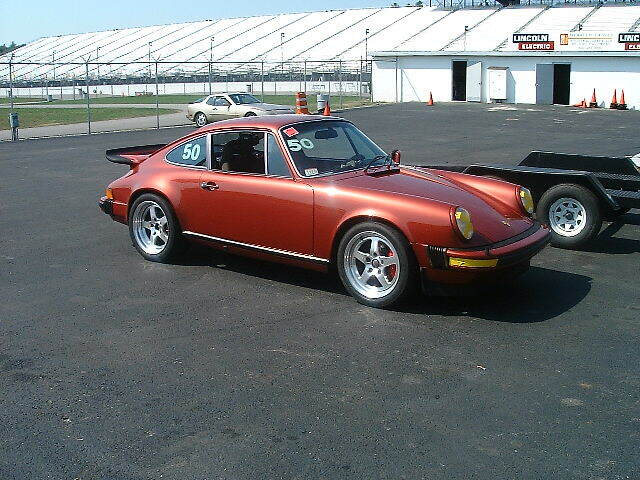 The car is a '77 Euro Carrera 3.0L (VIN 9117600720). 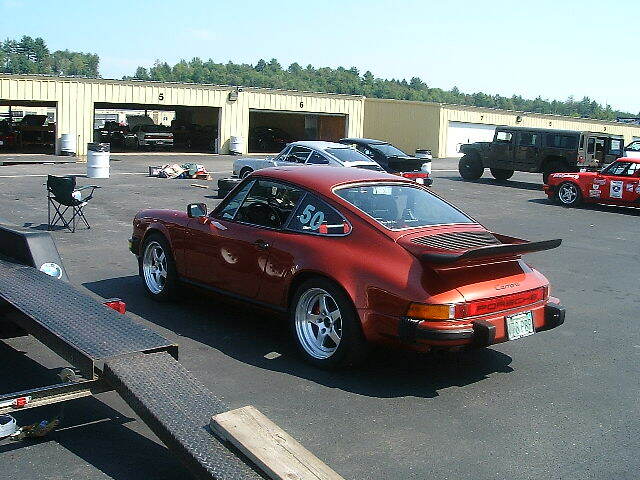 The color is "Burgundy metallic" (#436-9-3). It's been repainted the original color, but the paint prep work was mediocre, at best & needs to be redone. Pictured below is the '77 with the 17" Fikse wheels, Big Reds, Bilstein Sports, Recaro SRDs, B-K harness bar, & Simpson 5-point harnesses. I also replaced the trombone fender-mounted oil cooler with the Carrera radiator type, and installed a set of SSIs with Dansk sport muffler. I’ve replaced the torsion bars with 22F/28R Glenn Sander bars & installed the Weltmeister adjustable spring-plates. These pictures were taken at various DE events. Now - for something completely different ... take a tour of Chris Bennet's Messin' with 911s web page! Chris is our local 911 guru/enthusiast - a friend who helps several of us in many ways, with knowledge, tools, garage space, a helping hand, and lots of good humor. 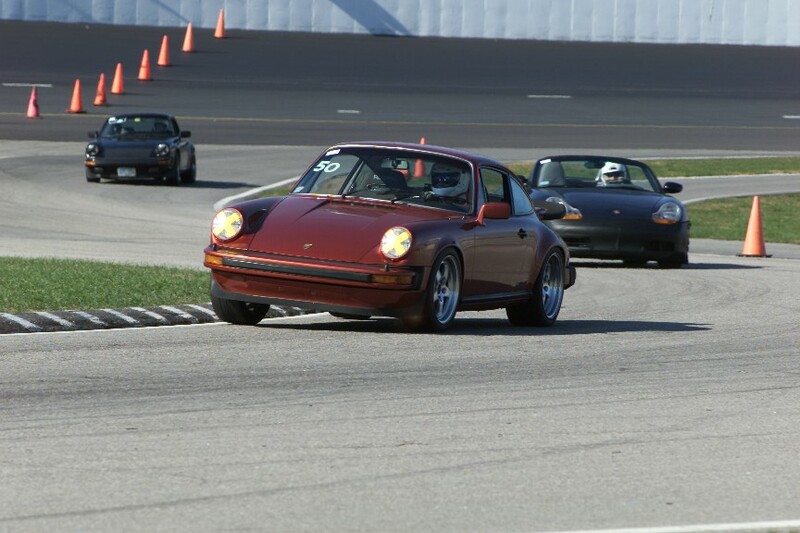 Many of us have learned more about our cars, helped each other with problems, performed upgrades, and generally had fun talking Porsches, thanks to the help and hospitality of Chris and his lady, Chrissy.